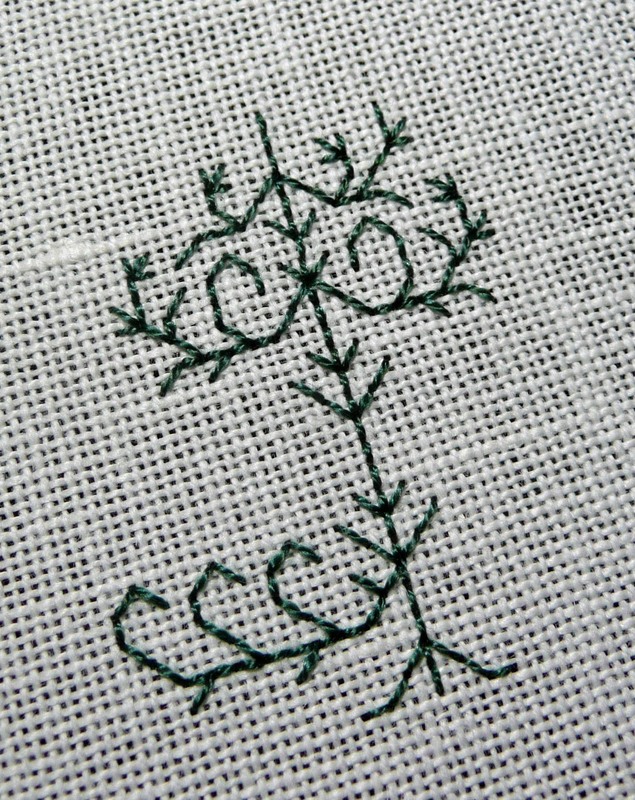 Before I called it a night tonight, I also started a new ornie, only ‘cos it was sitting here all kitted up in my bedroom, laying on top of a pile of books … so I figure it was as good a time as any to finally get it stitched up and out of the way! It’s supposed to be stitched with 1 strand of DMC 501, but to be honest I wasn’t thrilled with the coverage whatsoever, so I went back into my bedroom and rummaged through my silk piles … and ended up using a skein of Premium Hand Dyed Fibers silk called “Jewel Weed” which is almost identical to 501 but much, much thicker … personally I think it was a great choice, and I’m enjoying seeing this come together – I guess this will take me a couple of nights to complete this week, then I need to start thinking of what project to start next. 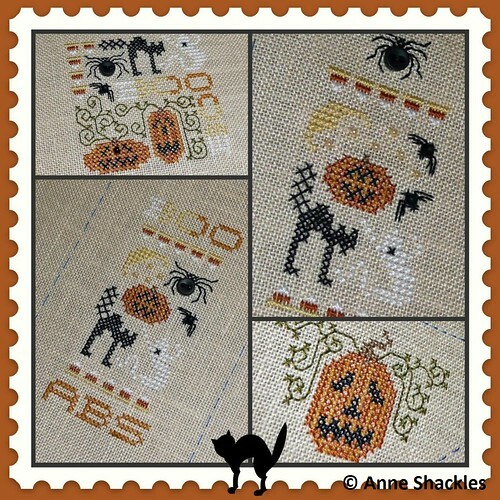 Anne S • This entry was posted in Cross Stitch, Finishes, The Drawn Thread, Works in Progress and tagged Cross Stitch. Bookmark the permalink. You’ve been BUSY, Anne. Everything looks wonderful! 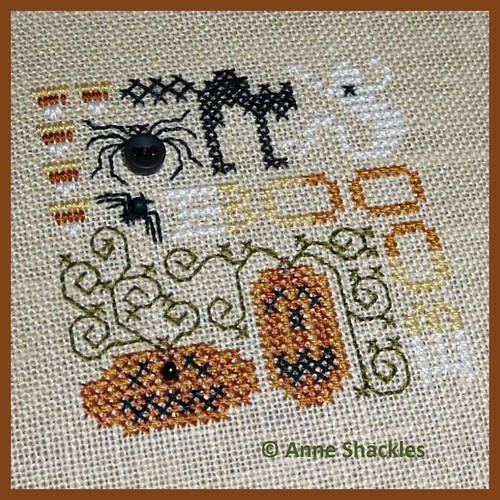 Great work on all the finishes, Anne, your needles have been flying this weekend. Gorgeous Anne! It’s a nice feeling to have abunch of small finishes in a row isn’t it!! Congratulations on your beautiful finishes! My goodness, girl! 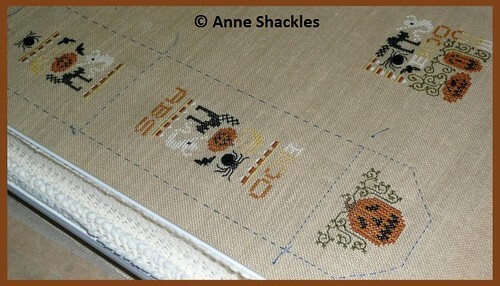 I stop in to catch up and find that you’ve been stitching like a woman possessed! Great work; everything is lovely, as always. Your work is meticulous and you take such beautiful photos. I hope that you do get your sewing machine back in time to do some finishing and dig into your ever-growing pile. BTW, you have to tell us the name of the design of the new ornie you started, puh-lease. Goodness, have you been busy! It all looks wonderful, especially the DT – congrats! Another finish! You really are on a roll. This piece is so cute.